The weather is getting warmer, and I am craving ice cream. Yummy, missing nothing ice cream. 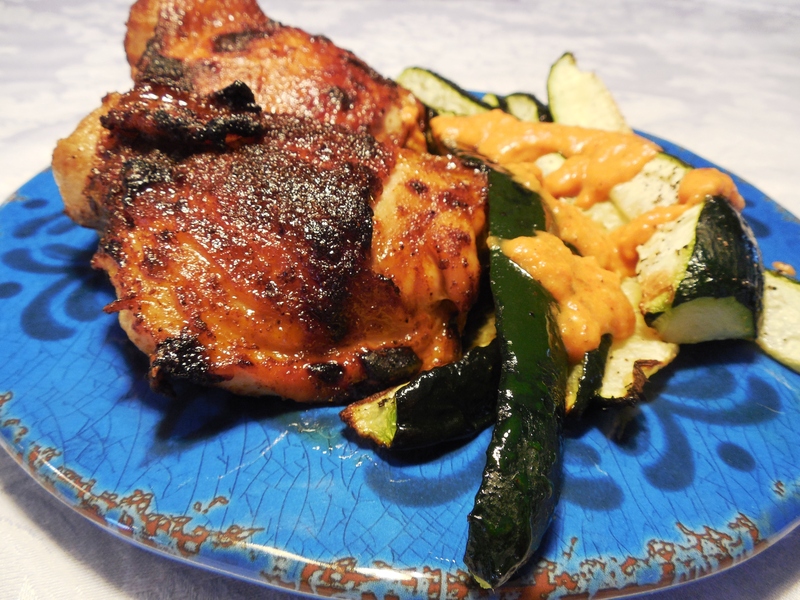 This recipe is dairy free, SCD, Low FodMap and Paleo. It is really pretty to look at, and the swirls of raspberry add just the right amount of flavor burst in your mouth. The recipe uses pastured egg yolks for a custardy creaminess and nutrition. Yolks have fat soluble vitamins (A, D, E and K2) and those important Omega 3’s. It is churned in an ice cream maker. If you happen to have any left over, you can freeze it and let is set on the counter for 5 or 10 minutes until it softens enough to scoop. There are a few steps, but it is worth it, and you can do it ahead! So, if you are having company, you can refrigerate the mix up to 24 hours, then just before you set down to dinner, put it in your ice cream freezer. 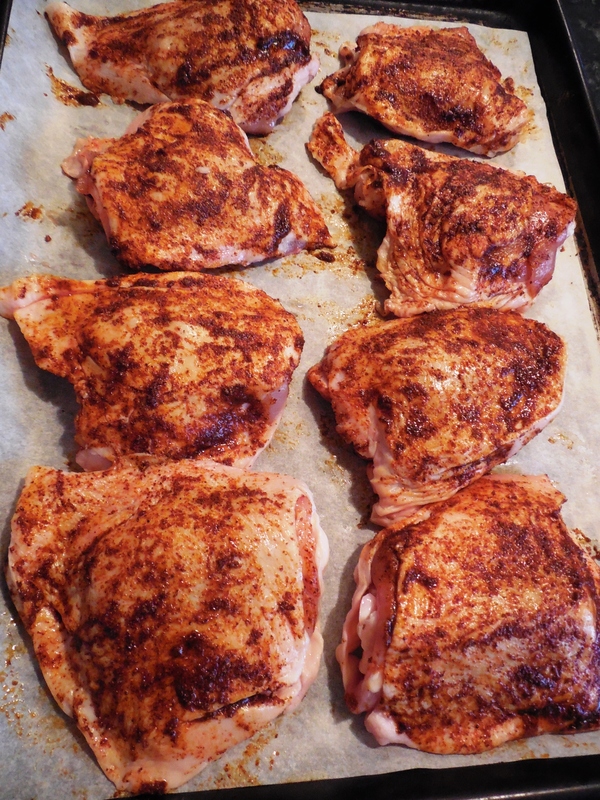 It is done in 30 minutes while you eat your main course. Mix Egg Yolks and 6 Tablespoons Clear Honey in a stand mixer or use a hand mixer. Beat until thick and light. Scald the coconut milk in a saucepan over medium heat. Then, slowly pour hot coconut milk into egg mixture while beating on low. Place the mixture over a hot water bath (double broiler) and heat stirring constantly until mixture thickens enough to coat the back of a spoon. Stir in Vanilla Extract. Chill until cool and up to 24 hours. To Make Raspberry Swirl: Heat the frozen raspberries with the honey until they thaw and simmer. Press the mixture through a mesh strainer to extract the seeds. Refrigerate this separately. When ready to make the ice cream. Freeze the vanilla ice cream in an ice cream freezer. 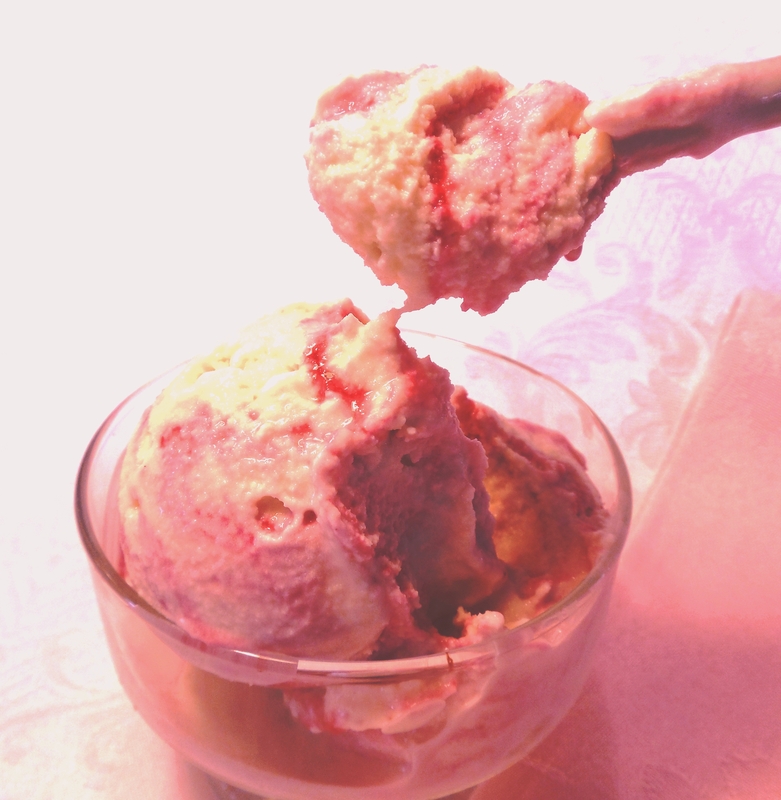 After the vanilla is finished, swirl in the raspberry sauce, but do not mix completely, leave it swirled. 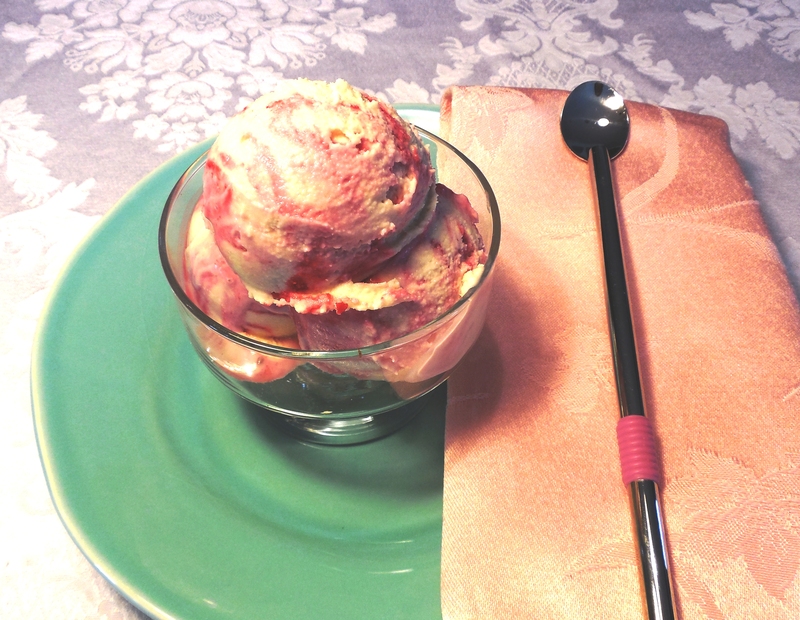 Honeyed Vanilla Raspberry Swirl Ice Cream – I Dare You To Take Only One Bite! I have always loved cooking since I was around ten years old. 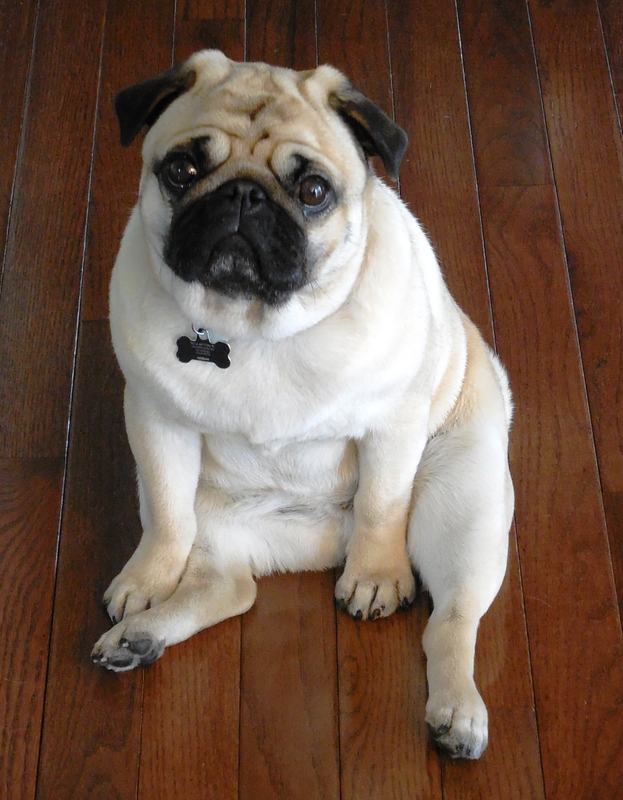 Cookbooks are better than novels to me, so it is natural that a discerning pug like Ming would share her best friend’s enthusiasm for them too. Since I have become a nutrient seeker, I get inspiration from some of my older cookbooks and favorite dishes. I make them rockin’ healthy to get the most energy, vitality and just feeling great every time I put something in my body. 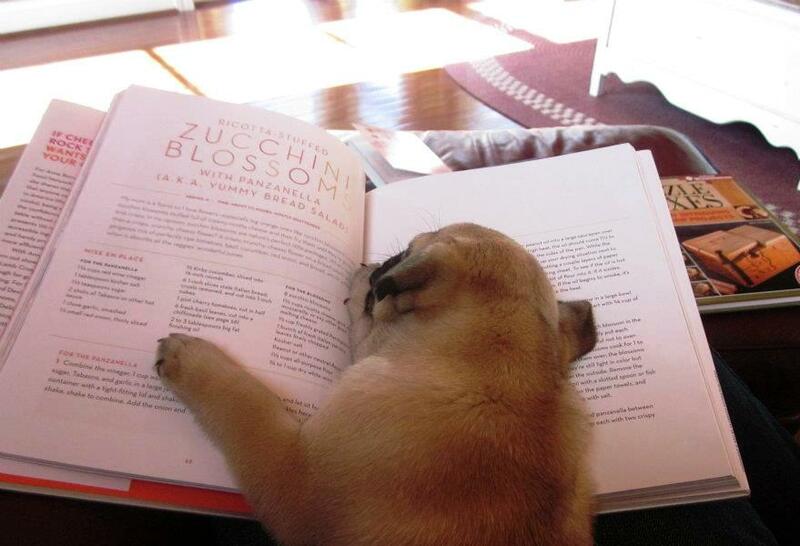 So, Ming and I were having a very relaxing cookbook session. When I was ready to get up and put some of the inspiration into action in the kitchen, Ming was ready for a long nap on my cookbook. She likes to be where the action is, even if she is inactive!